The agency's proposal would classify the majority of software released by pharmas as "promotional labeling" that would not require premarket review. The FDA is seeking public comments for a proposed framework that would allow the majority of apps and software released by pharmas that accompany a drug treatment to avoid lengthy premarket review submissions. According to a notice released last week, such software would be viewed as “promotional labeling,” and therefore only require submission to the FDA’s Office of Prescription Drug Promotion (OPDP) or Advertising and Promotional Labeling Branch (APLB) at the time of initial dissemination. The notice offers some examples of branded prescription drug-use-related software (PDURS) that would fall under the category of promotional labeling or otherwise. These included: PDURS that provides patients with information about the drug that is also available within the FDA-required labeling, digital tools to track the condition related to the prescribed treatment, software that allows the patient to enter a drug regimen for reminders, and other outputs that would not qualify the software as a medical device or FDA-required labeling. The agency noted in the proposed framework that it anticipates that most PDURS currently being released by pharmas would fall under the designation of promotional labeling. The proposed framework — which does not apply to third parties independently developing or disseminating these software — is open to public comment for a period of 60 days. Currently, the FDA takes a risk-based approach to the review of promotional materials, with the “vast majority” of these submissions requiring no further action once sent to the agency. Implementation of the risk-based approach described in the proposed framework would remove a substantial burden from pharmas looking to support their prescription treatments with various branded companion apps and, subsequently, increase the prevalence of such digital tools. 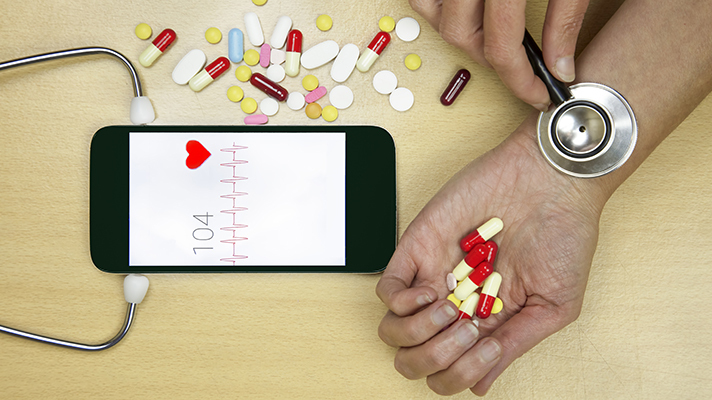 This could be a boon to patients as well, as a number of studies have described how apps and similar tools can improve medication adherence. Bradley Merrill Thompson, a lawyer at Epstein Becker & Green who counsels on FDA regulatory issues, told MobiHealthNews that he was pleasantly surpised that last week's notice was only a framework proposal as opposed to a draft guidance, although he wondered why such a document wasn't released earlier to streamline change. He also noted that last week's proposal doesn't address the increasing number of "interesting questions" regarding independent companies disseminating drug information, and lamented the continuing lack of guidance on which drug-related software is to be considered a medical device. "The takeaway from reading today's concept paper is that FDA apparently intends to fully exploit to the maximum extent possible the definition of drug labeling. This concept paper suggests that FDA plans to regulate anything that could potentially meet the statutory test. Frankly we always suspected that, but now we have that position stated in this concept paper," he wrote in an email. "The bottom line is the industry is still anxiously awaiting guidance on software used with prescription drugs, and particularly on the difficult questions associated with when such software constitutes a medical device. It's not clear to me how much longer we will have to wait. We've been asking for three years at least." Kyle Faget, a special counsel at Foley & Lardner, welcomed the proposed framework as an "exciting development" for the agency, but also warned that any confusion regarding appropriate software classification could still hamper the end goal of increased digital adoption. "Sponsors wishing to enter this space will face several decision-points, including determining if the software application is a device subject to regulatory approval and whether the output of such software is FDA-required labeling or promotional labeling," Faget wrote in an email. "Confusion on any or all of these points may mean sponsors must avail themselves of FDA’s advisory comment process, which very well could have the contradictory effect of deterring software application innovation and use." This proposed framework is the latest in a long line of efforts from the FDA to streamline healthcare’s adoption of new technologies, examples of which include the experimental Pre-Cert Program, premarket exemption of genetic risk assessments following a single successful review and ongoing construction of guidance for clinical decision support tools. “As the practical value of digital health technologies continues to advance, consumers are increasingly using these new tools to inform their everyday health decisions,” FDA Commissioner Dr. Scott Gottlieb said in a statement. "The new approach that we’re releasing for comment today would consider the circumstances when software disseminated by drug sponsors to be used with a prescription drug would require approval by the FDA. ... With this new proposal, our aim is to define an efficient path for the development of new digital tools that can help promote appropriate use of medicine to improve patient’s health."